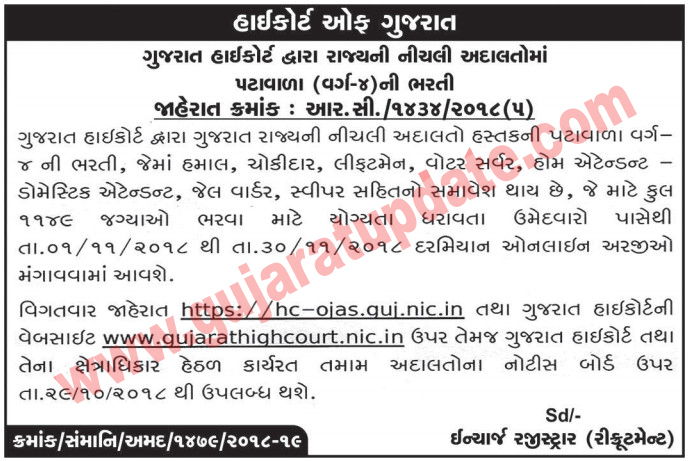 High Court of Gujarat has published Advertisement for 1149 Hamal, Chowkidar & Other Posts 2018, Other details are given below. Educational Qualification: 10th or Equivalent. Age Limit: 18 to years.